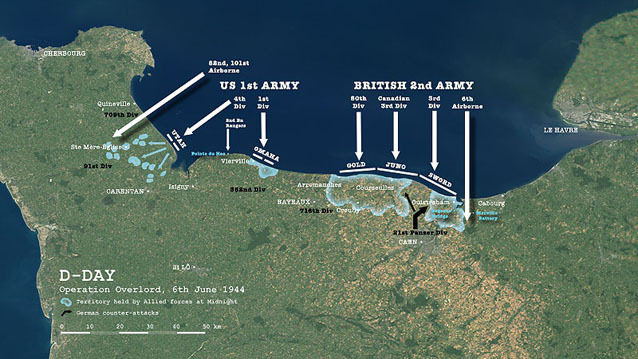 A photorealistic view was achieved for this campaign map of the Normandy landings by creating a geocoded satellite image mosaic. The campaign maps were used for a television production by Dangerous Films, the BBC, and the Discovery Channel. Source data: MODIS and Landsat satellite imagery.